As the weather starts to warm up here in the northeast we're hoping that everyone is having a great year thus far! We've been hard at work testing out updates to the system, some of which we're releasing today. 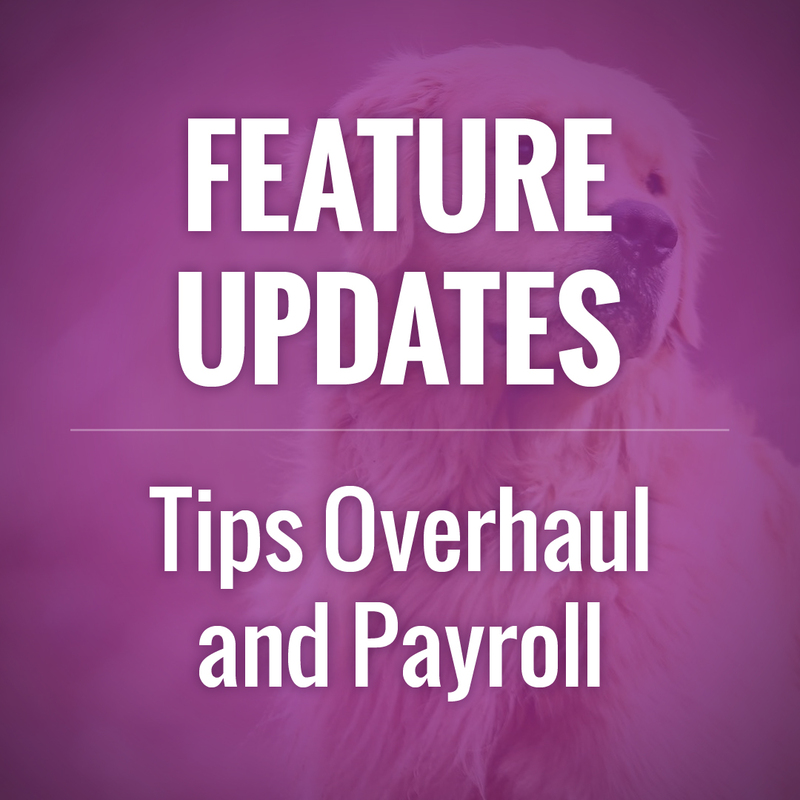 Using the new Payroll will be optional, but do familiarize yourself with the Tips Overhaul to understand how tipping will work in the system moving forward. Note that the Tips Overhaul and Payroll are only available to those who has been signed up since 2017 OR have the Billing Overhaul enabled. The overhaul to tips will allow clients to add tips more readily, before or after visits have been completed, and before and after invoices have been paid. 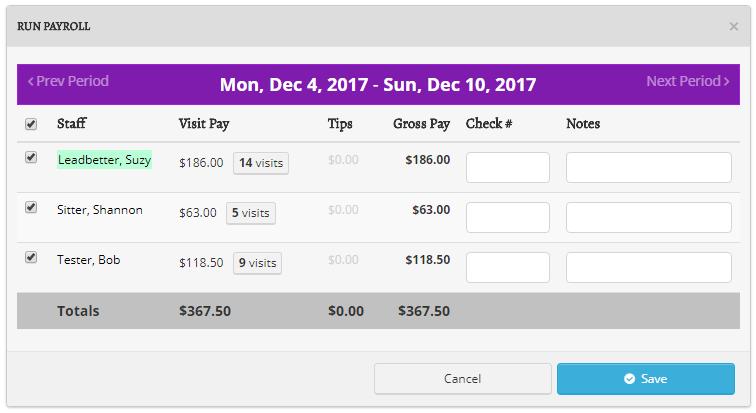 Whenever and however a tip is added or changed the system will reconcile the difference to make sure that the visit-level tips add up to the actual tip that was made. If you have Require Credit Cards set to "Yes" you will see a credit card icon at the top of each client's profile. Green = on file, yellow = expires this month, red = not on file or expired. Thank you soooo much for all your help and making my new site so BEAUTIFUL!! I am very glad I found you guys :)!! We wouldn't be able to run our pet sitting business, Grateful Companion Pet Care, without this system. It keeps us organized and makes our lives so much easier. We love it!!! We take our jobs very seriously here at Homeward Bound. The system improvements have been many in the past year and as such you have made OUR jobs that much easier and more efficient. As I look back at how we USED TO have to manage our daily operations (due to a lack of efficient software) I am astonished at how we managed before, how far we have come, and how much we have grown this past year. Much of that has to do with your system.